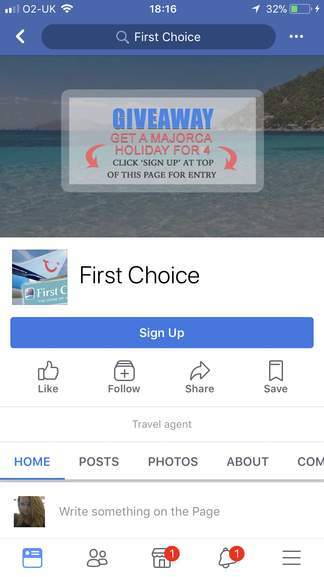 I’ve seen lots of people on Facebook sharing what appears to be an official First Choice page to win a holiday but it’s actually a scam to just get your details. They ask you to sign up using their blue button sign up at the top of the page which then gives them your details and email address for them to sell on and spam you. It also doesn’t have an official blue tick either. So just in case you’re tempted sorry it’s a fake! I always look for the blue tick Can’t trust anyone these days! scam and facebook what next ? But does he **** in the woods? Next you will be telling me Apple has 100 iPads to give away because they dont have the boxes. Been going on for ages and FC know about it. Isn't this what all competitions are? A scam to get your details? 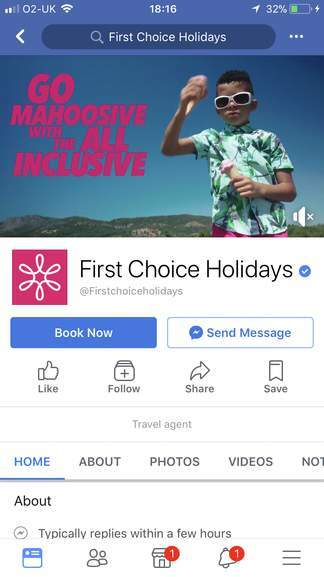 Even if it was a legit First Choice comp it would still be done just to get your details to spam you.